Israeli settlers forced on Tuesday a Palestinian man to leave his land in Tel Rumeida area, in al-Khalil to the south of the West Bank. According to the PIC reporter, a group of settlers stormed the land of Walid Sharif in Tel Rumeida and prevented him from working in his own land. The settlers, from the illegal settlement of Ramat Yishai, built on Palestinian privately-owned lands in Tel Rumeida, were led by the extremist politician Baruch Meir Marzel. “Marzel forced me to leave the land at gunpoint and threatened to shoot and kill me if I return to the area”, the PIC reporter quoted Sharif as saying. The Israeli Occupation Forces (IOF) arrested 1,319 Palestinians during January and February, including 274 children and 23 women and girls, a joint report said. Palestinian Prisoners’ Society, Al-Mezan Center for Human Rights, Addameer Prisoner Support and Human Rights Association and the Prisoners’ Affairs Commission, issued a monthly report on Tuesday on the imprisonment of Palestinians in January and February 2018. 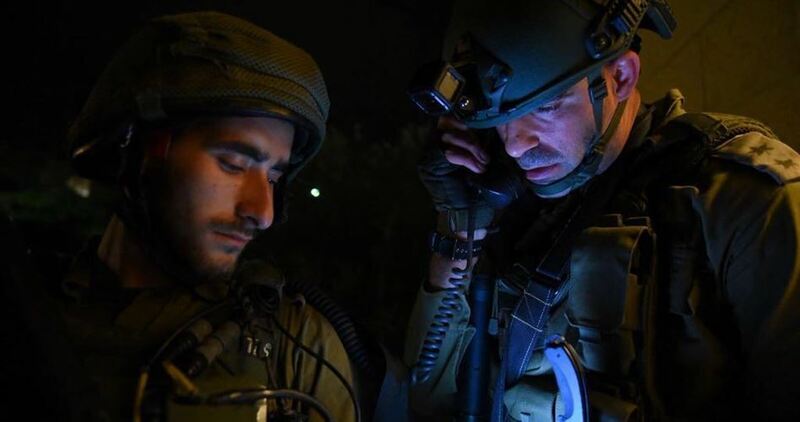 According to the report, Israeli forces arrested 381 Palestinians from occupied Jerusalem, 233 from Ramallah and al-Bireh, 140 from al-Khalil, 133 from Jenin, 118 from Bethlehem, 107 from Nablus, 59 from Tulkarem, 54 of Qalqilya, 23 from Tubas, 20 from Salfit, 21 from Jericho and 20 from Gaza Strip. 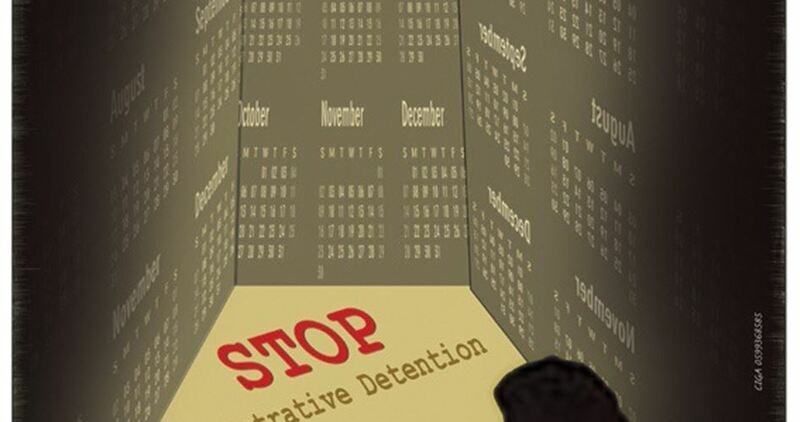 Since the beginning of 2018, Israel issued 169 administrative detention orders for imprisonment without charge or trial, including 52 new orders. 500 administrative detainees are currently held in Israeli jails, the report said. The total number of Palestinian prisoners in Israeli jails is around 6,500, including 63 women, of whom six are minor girls. There are also 350 child prisoners. 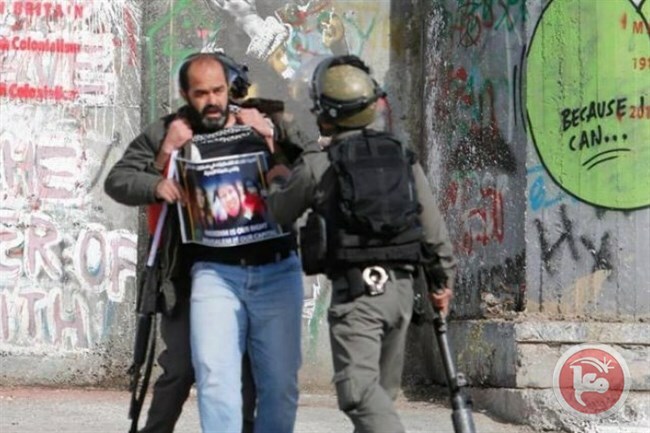 Muhjat al-Quds Foundation for Martyrs, Prisoners and the Wounded said on Monday that the Israeli occupation authority (IOA) extended the administrative detention of senior Islamic Jihad officials Sa’ied Nakhla and Bassam Abu Aker. In a press release, Muhjat al-Quds Foundation stated that the IOA renewed the administrative detention of Nakhla and Abu Aker for another four months. The Israeli occupation forces kidnapped Nakhla on November 23, 2017 and Abu Aker on July 27, 2017 before the Shin Bet decided to administratively detain them with no indictment or trial. 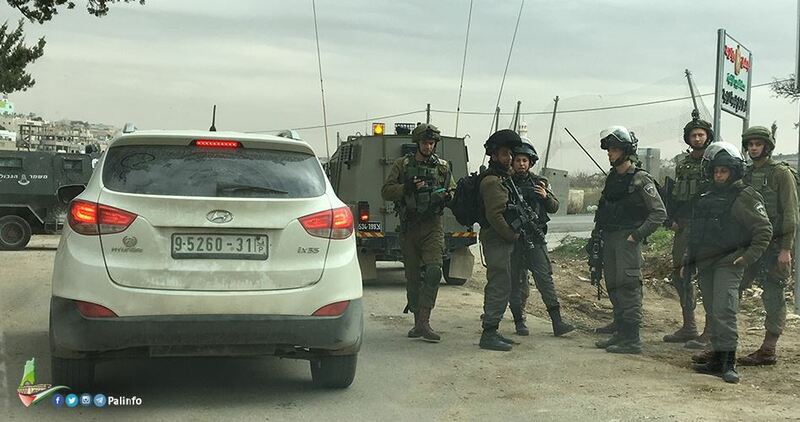 Local sources told the PIC reporter that dozens of IOF soldiers stormed Silat al-Harithiya town west of Jenin and fired live ammunition and sound bombs at the Palestinian citizens’ houses. The Israeli prosecution is negotiating a plea bargain in the case of two Israeli soldiers accused of manslaughter in the fatal shooting of a Palestinian teenager in 2013. According to the Israeli daily Haaretz, the soldiers were serving in the occupation army, when they shot and killed 16-year-old Samir Awad. The lawyers for the two men claimed that convicting the soldiers would be a selective enforcement of the law, since it is rare for an indictment to be brought against Israeli soldiers who shoot and kill Palestinians. The two soldiers were participating in an ambush in the vicinity of an apartheid fence near the West Bank village of Budrus in January, 2013 when the murder was perpetrated. According to the indictment, the soldiers emerged from the ambush and began chasing Awad, who was trapped between the two fences. At that point, one soldier fired two bullets at Awad. His commander then fired three more bullets. 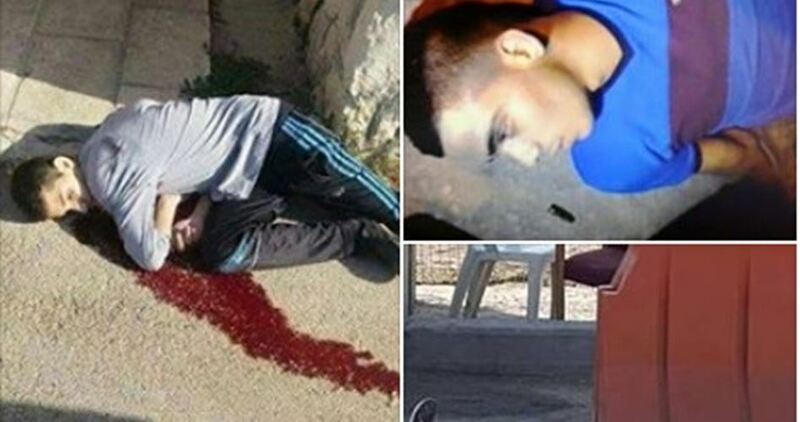 Awad was taken to a hospital in Ramallah, where he succumbed to the gunshot wounds. Alleging that it was not possible to determine which of the bullets was the fatal one, the prosecution decided not to indict the soldiers for manslaughter, but instead on the lesser charges of recklessness and negligence — which carries a maximum penalty of three years in prison. During the hearing, attorneys for the accused claimed that their clients should not be convicted because it was not proven that they acted negligently and because the law was being selectively enforced in their case. The attorneys presented military data showing that in the last seven years, out of 110 cases in which soldiers had shot and killed Palestinians, only four indictments were filed. The court expressed doubts as to its ability to convict the two men due to the issue of selective enforcement. The Palestinian Authority (PA) presidency and Fatah both blamed Hamas over the explosion that targeted the convey of the PA Prime Minister Rami Hamdallah during his brief visit to the Gaza Strip on Tuesday, Quds Press reported. “This act pushes out people towards destruction and we will not remain silent towards it,” he said. “Anyway, we blame Hamas over this condemned attack,” he added. Many other Fatah and PA officials blamed Hamas for the explosion, but at the same time, most of the Palestinian actors called for Fatah and the PA to refrain from pointing fingers at Hamas or any other party before completing the investigations being conducted into the accident. However, some security experts and observers suspected that Fatah and the PA plotted the explosion, which hit the last three vehicles of Hamdallah’s convoy. Palestinians launched a hashtag in Arabic on social media reading “The Play of Exploding PM’s Convoy” while Fatah activists and mass media, including Maan News Agency and Palestine TVannounced false news about the incident – such as the number of casualties and additional gun fire. In fact, only one of the security staff accompanying Hamdallah was slightly injured. The Syrian Interim Government’s health directorate in Rural Damascus has published appalling figures of the death toll in the suburb of eastern Ghouta as a Syrian Coalition official stressed that the international community’s lukewarm response towards the Assad regime led to the occurrence of war crimes on a large scale in Syria. Member of the Coalition’s political committee Yasser Farhan said that the humanitarian tragedy affecting the people of eastern Ghouta has become the last appeal to the United Nations to carry out its moral and legal duties to protect civilians. In press release issue on Tuesday, the Directorate of Health said that 1,201 civilians have been killed and 8,804 others injured in eastern Ghouta over the last three weeks of the ferocious military campaign being launched by the Assad regime forces with Russian support. It indicated that the victims included at least 209 children and 213 women. The Directorate said that two doctors, four nurses, and two paramedics were killed in attacks on hospitals and medical centers in the besieged Damascus suburb. The figures showed that the humanitarian suffering in eastern Ghouta had reached an unprecedented level since the siege and bombardment began in 2013. Farhan stressed that war crimes being committed against Syrian civilians make it incumbent on the Syrian people’s friendly countries to take action outside the UN Security Council and launch a military strike against the Assad regime to force it to abide by UN Security Council resolution 2401 demanding a ceasefire and the delivery of humanitarian assistance to those in need. Member of the political committee and the Syrian Negotiations Commission Hadi al-Bahra stressed the need for the UN Security Council’s member states to take measures to force the Assad regime to abide by Resolution 2401. He said that such measures are likely to push ahead the political process and negotiations. “It is feasible. It is necessary. And it is overdue,” Bahra told a meeting of the UN Security Council on Monday. He slammed Russia’s continued disabling of the UN Security Council through its repeated use of its veto power to shield the Assad regime. Israeli unmanned innovations include the Guardium armored robot car; miniature pistol-wielding tanks; and the “Spot and Shoot” system of remote-controlled machine-gun turrets on the walls enclosing Gaza, which are operated with videogame-style joysticks by distant female soldiers. GAZA STRIP, PALESTINE — In a frightening development, Israeli occupying forces have deployed a new unmanned aerial system in the Gaza Strip that drops tear gas canisters from above, according to video footage obtained by Lebanon’s al-Mayadeen news. The event, described by officials as an “experiment,” is the first recorded incident of weaponized crowd-control UAVs (i.e., drones) being used against unarmed Palestinian civilians in a non-combat environment. In a video clip posted by the Lebanese news agency, around 200 demonstrators who gathered last Friday on the eastern border of the besieged coastal strip scatter after the small airborne drone targets them with projectiles containing tear gas. 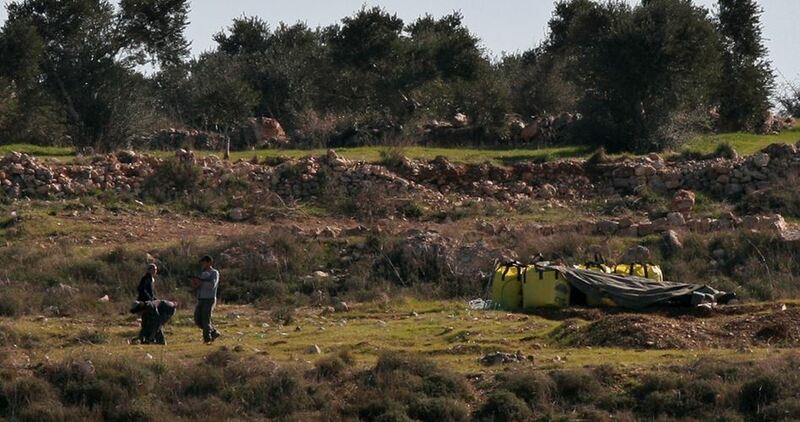 Israeli occupation forces claim that the UAV was not being controlled by the military, but by the state’s Border Police, according to Times of Israel. According to Israeli newspaper Haaretz, officials in Tel Aviv say that the new crowd-control technique remains “experimental and has not yet been made operational,” effectively turning Friday’s act of repression into a live-fire exercise against the long-suffering residents of Gaza. Israel is among a handful of countries — including India, China, France and the United States — whose UAV industries have developed drones capable of bombarding crowds with less-lethal weaponry and crowd-control agents such as tear gas, smoke grenades, explosive ordnance or other payloads. It remains unclear whether the Cyclone system was used in Friday’s experiment. Tel Aviv has long used the Gaza Strip as a de facto laboratory for the testing of experimental weaponry and cutting-edge, unmanned weapons systems that mete out extrajudicial killings and indiscriminate violence from thousands of feet above. According to rights group Defence for Children International-Palestine, children in Gaza were directly targeted by drones during the 2014 Israeli offensive Operation Protective Edge. In addition to conventional airborne armed drones, Israeli unmanned innovations include the Guardium armored robot car;miniature pistol-wielding tanks; and the “Spot and Shoot” system of remote-controlled machine-gun turrets on the walls enclosing Gaza, which are operated with videogame-style joysticks by distant female soldiers. The Israelis plan to fully automatethe Spot and Shoot system, removing human beings from the identification, targeting and killing process. According to Israeli military personnel, the demand for such devices is fueled in part by declining recruitment levels and a population that’s unwilling to risk life and limb in combat. Experts predict that robotic technology will exponentially advance in coming years as militaries across the globe increasingly rely on autonomous weapons systems owing to their relative cheapness, tactical efficiency, and ability to rapidly make and implement decisions. Zionist fulminations against the evocative A-word will now have to contend with the ignoble G-word. That Israel is an Apartheid entity is now indisputable, with international institutions and academics declaring it to be a crime against humanity. To this must now be added the increasingly obvious fact that the Palestinians are facing Genocide at the hands of the Israeli colonists. BETHLEHEM (Ma’an) — The Israeli Ofer Military Court sentenced Palestinian activist Munther Amirato six months of prison on Monday. Amira, the head of the Popular Struggle Coordination Committee (PSCC) in the occupied West Bank, was arrested during peaceful protests in late December.Amira’s brother, Ghassan, told Ma’an that the court sentenced Amira to six months of jail in addition to a suspended sentence of five years and a fine.He added that the suspended sentence includes 3 suspended years if Amira is detained during any activity after his release and five years if he is detained during a protest. As he was arrested, Amira, along with dozens of Palestinians, were demonstrating against US President Donald Trump’s recognition of Jerusalem as Israel’s capital, and the arrest of 17-year-old activist Ahed Tamimi, who had been detained one week prior. Video of Amira’s arrest shows the activist standing at the front of protests, holding a sign in support of Ahed Tamimi, when a group of Israeli officers ran out from the military base and grabbed him. The Israeli prosecution brought 12 charges against Amira, among them throwing stones, organizing and participating in unpermitted marches, and throwing an incendiary device towards soldiers, the latter referring to when Amira threw back a tear gas canister that was shot at him by Israeli forces while he was peacefully demonstrating. Amira was prosecuted in a military court that has over a 99 percent conviction rate against Palestinians.